One analysis suggests that by 1992, two thirds of the beer produced was from Minnesota barley varieties. The University of Minnesota (UM) has played an integral part in the development of malting barley for over a century. In the early part of the 20th century, this land grant institution cooperated with USDA Division of Cereal and Disease scientists located in St. Paul and participated in the evaluation of germplasm for its adaptation to upper Midwest growing conditions. Much of this work was done by Dr. Harry Harlan who received his PhD from UM while working for the USDA. The released varieties were mostly six-rows of the Manchurian type that did well in Minnesota but also included Trebi, which became a dominant six-row malting barley in the western United States and Alpha, a two-row variety that was popular in New York and New England. Malting barley received a big shot in the arm when UM hired Dr. Donald Rasmusson in 1961 as its first dedicated malting barley breeder. Dr. Rasmusson focused on high yielding, six-rowed malting varieties with good disease resistance. His program released eight varieties. Among these was Morex, which had improved malting quality, and Robust that had greatly increased yields. These two varieties set the standards by which to measure subsequent variety releases. One analysis suggests that by 1992, two thirds of the beer produced was from Minnesota barley varieties. Dr. Rasmusson continued a very productive malting barley program until his retirement in 2001 with the releases of Excel, Stander and Lacey barleys. The development of these varieties was not just the work of a single breeder, but included pathologists, geneticists and agronomists. The team at UM has a history of close coordination with a proven track record of releasing new malting varieties, but also plays a critical role in national barley programs like the US Barley Genome Project, US Wheat and Barley Scab Initiative, Barley Coordinated Agricultural Project (CAP) and the Triticeae CAP. Dr. Kevin Smith was added to the team in 1998 and worked with Dr. Rasmusson on the breeding project. Dr. Smith has initiated genomic selection in the UM barley program by incorporating many of the genetic tools refined in the national initiatives. Genomic selection augments traditional field testing and in many cases provides a more cost-effective and accurate way to follow the transfer of desired traits into new breeding lines. At the same time, he has expanded the program into the development of spring and winter two-rowed malting varieties. Winter varieties can provide the grower with a yield boost in areas where they can overwinter and spread out the planting and harvesting work load, making them attractive rotational crops. Two-rowed varieties are accepted by all U.S. brewers and should provide a broader market for growers. 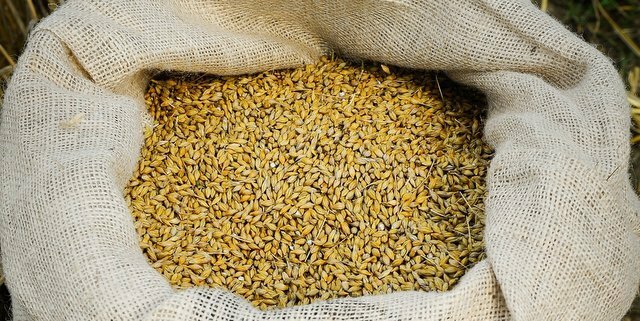 This piece was provided by the American Malting Barley Association. Why don’t you go visit them? Henrique De Luca liked this on Facebook. Alx HB liked this on Facebook.